LIGHTS! CAMERA! SUB ACTION! came about from a desire to tell the story of working in an industry where remarkable things can happen, all in a day&apos;s work. 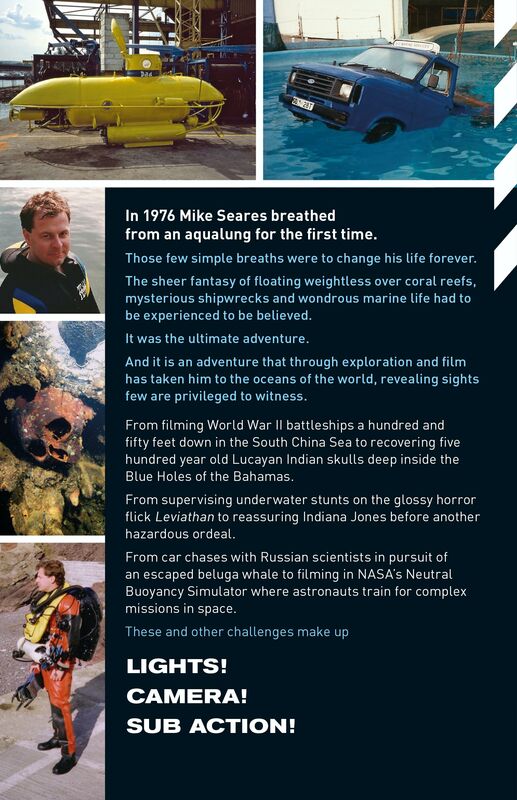 The aim of the book is to give the reader a sense of what goes on in creating underwater material for film, TV and other media projects, and to share some of the incredible adventures that can happen along the way. The industry itself covers such a broad spectrum of work that no two jobs are ever alike. There is the high-powered world of feature films, with glamorous locations, expensive hotels and all the trimmings - and there is the run-and-gun excitement of following a developing news story or documenting an underwater expedition. There are the crazy ideas thrown up by commercials and pop promos, which often boggle the mind and require creative thinking to achieve - and there is the careful planning and preparation necessary when designing and producing a documentary to inform and entertain. Where required, care has been taken to explain in simple terms any technical aspects of the diving and filmmaking process, so that the reader will have an understanding as to the background of the actions being described. But above all, it is hoped the book will provide an entertaining tale of discovery and adventure in an often misunderstood industry. There are over 300 photographs to accompany LIGHTS! CAMERA! SUB ACTION! The Apple Books version contains the photographs within the book itself. *Every effort will be made to ensure the link remains active, but there may always be circumstances beyond our control.